Set not to move deleted files to recycle bin or deleted from portable hard disks. Keep calm if you encounter those situations. And you’d better not write new files to where the data gets deleted from your laptop before taking measures of recovery. 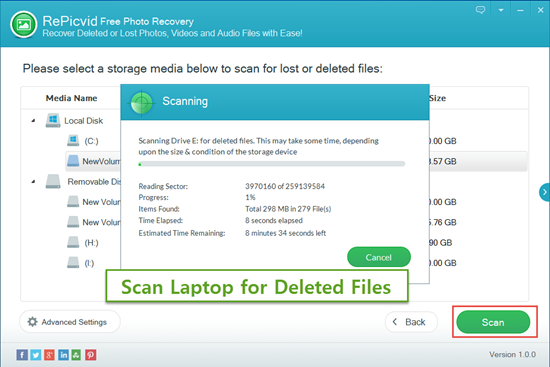 Just try those two methods to recover deleted files/photos/videos from laptop. 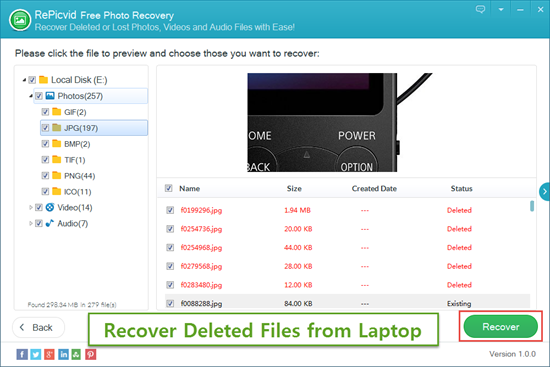 If you have no backup of your files, you can try RePicvid Free Photo Recovery to recover deleted files/photos/videos from laptop like Asus, Toshiba, HP, Samsung, Acer, Dell, Lenovo, Microsoft’s Surface, etc. It also supports various storage devices, such as hard drive, memory card, SD card, etc. 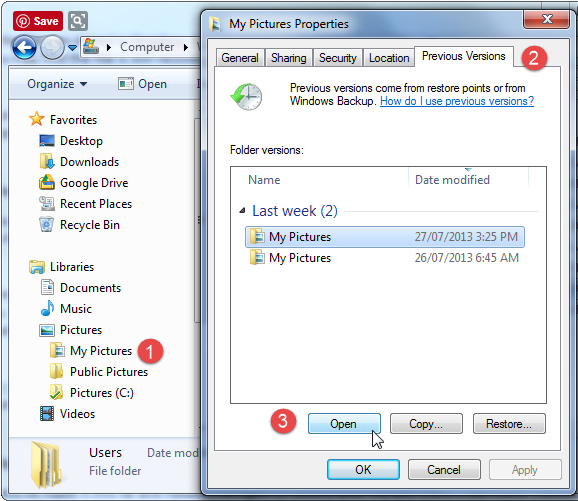 Run RePicvid and choose “Photo/Graphic” or “All File Types” recovery. Next, click on the location where your files existed. Check file format in “Advanced Settings”, and then scan all files/pictures on laptop. Wait patiently for the results during scanning because it may takes several minutes. After scanning is over, you could preview the “deleted” items and select those you want to recover. Finally, save them onto another folder of laptop disk. Windows has built-in “Backup and Restore” tools, while Mac OS has Time Machine. 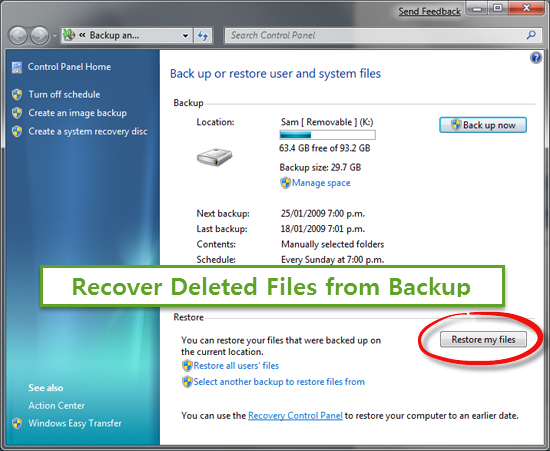 If you’ve recently created a backup, it would be much easier to restore deleted files from laptop. Now, it’s the time to check for a copy of the file you deleted (Windows for example). Click “Start” menu and open Control Panel. Select System and Security > Backup and Restore > Restore my files. After that, you could save the files to its original location or a new folder. You can also check previous versions. Just navigate to the folder that contained your files, right-click it, and select “Restore” previous versions. Or view backups that have been created and click the “Open” button to browse them. Thus, you may find a backup copy of your important file. Backup and Restore > Set up backup. Select Backup and Restore. In the left panel, click Create a system image. System > System Protection > Create. Note: It is recommended to save the backup to an internal hard drive on laptop. Moreover, you can simply make a copy of your important file onto an external disk or a cloud storage service like Dropbox, Google Drive, SkyDrive, etc.